The club has an active ladies' section with over 100 members on the Heath Course and over 30 on the Forest Course. One medal and one stableford club competition each month run on a Thursday, with a linked weekend competition for ladies that can't make the Thursday. Most of these competitions are for trophies. The annual Suffolk inter-club knock-out competitions for all handicap levels, including; Haskell, Stern, Weston and Cranworth Cups. There are periodic social and fun competitions that run during the year. 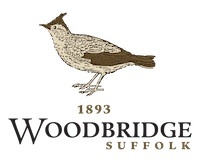 Copyright 2019 © Woodbridge Golf Club - All Rights Reserved.